You’re in line to pay for some gas at the local gas station, and the cashier asks you, “Will this be debit or credit.” You’re saying to yourself, “I’m paying with a Visa debit card, does it really matter?” The answer is YES. It does really matter what you choose when they ask you for debit or credit. There are two reasons why you need to make sure to choose debit if you are using your debit card to pay for a purchase. Studies have shown that you are 17 times more likely to have your identity stolen by making a credit transaction rather than a debit transaction. This is mostly due to the fact that you must type in your PIN in order to make the transaction when a credit purchase requires a signature receipt that is kept by the store. Most stores do not display all of your credit card numbers, but I have found every once a while that you will see receipts with the full credit card numbers posted on it. It’s shocking that those receipts still exist, but they are out there. You might be saying, “What do I care if the merchant saves money or not?” Well, you better care. Because who do you think they are going to pass off that extra expense to? You! When you choose debit, the average transaction costs the merchant about 10 cents to 20 cents. 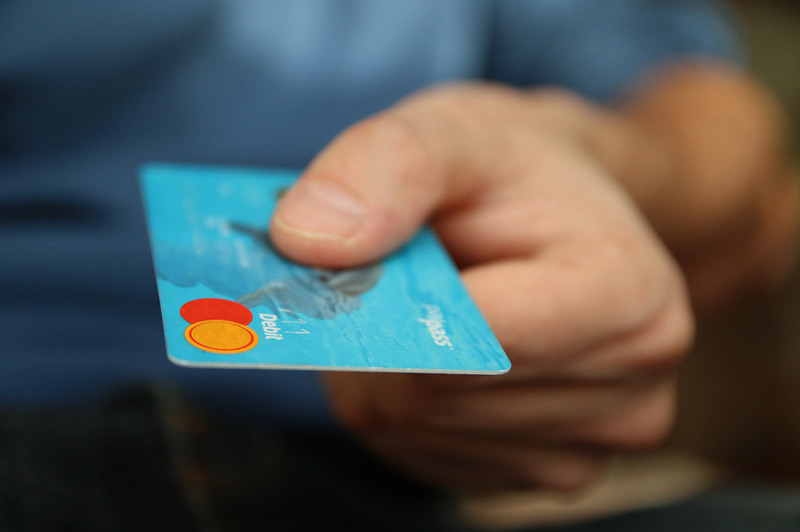 When you choose credit, banks charge merchants anywhere from 75 cents to $1.25. Merchants are hoping and praying that you choose debit when you truly are using a debit card, but it doesn’t always happen. The banks are the ones that are being ridiculous about this. Some banks are charging you a fee to use your debit card as a freakin’ debit card! They WANT you to say “Credit” so that they make more money off of the merchant. And banks wonder why so many people think they are the scum of the earth. I am all about “maximizing the profits of your shareholders,” but the way that you maximize the profits of the shareholders is by taking care of your customers, NOT taking care of your shareholders! I thought if there was a way to use your credit card as a debit card. Most credit cards have a PIN attached to them now to allow you to use it in an ATM. But my question is, can you say debt when you have a credit card, and then type in the PIN? If you’ve ever tried this before and it has worked, post a comment on here. I don’t know the answer to the question, so I’m asking you. Hopefully, this opens up your eyes more to the importance of that little phrase that we are faced with every day, “Debit or Credit?” It will further protect you from identity theft, AND it will help merchants keep their cost of doing business lower which ultimately allows them to keep the prices of their products lower.